The adventure begins! Send out these beautiful airplane invitations baby shower to celebrate your upcoming boy. 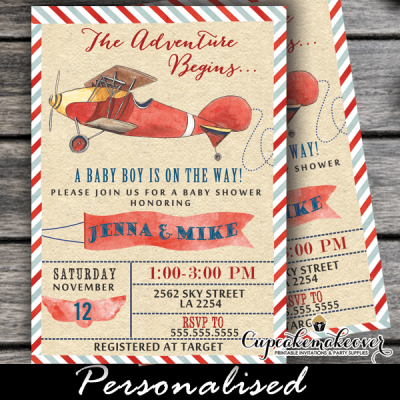 This Airplane Invitations Baby Shower Boy feature a watercolor painted vintage propeller red plane against a faux kraft paper background in a red, white and blue striped frame.